Statement of the Problem: Polymethyl methacrylate (PMMA) is the most popular material used for denture fabrication. This material is away from ideal in justifying the mechanical requirements such as poor thermal conductivity, insufficient surface hardness, increased surface roughness and lower mechanical properties. Aim of the Study: The researcher aims to study the effect of addition of surface treated (silanized) silicon carbide SiC nanoparticles in percentages of 0.125% wt. and 0.25% wt. 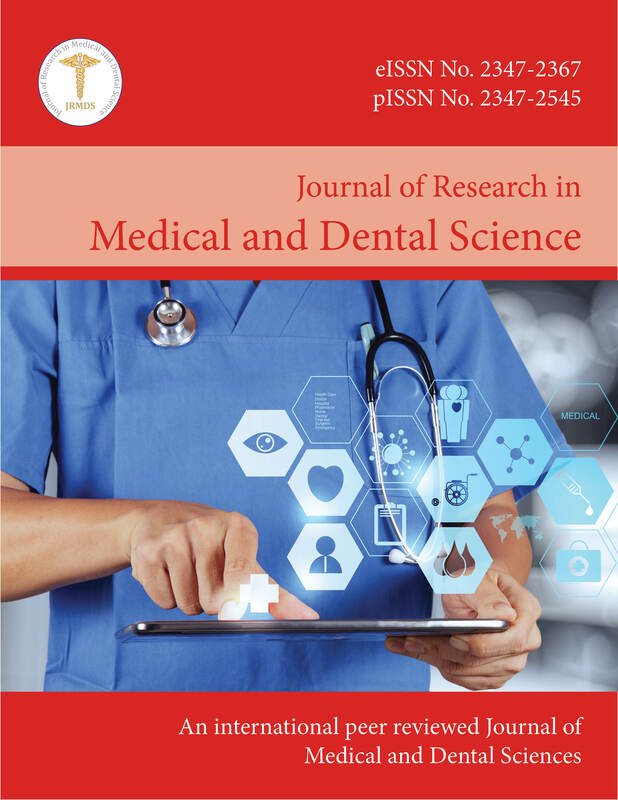 on physical properties of heat cured acrylic resin denture base material. Materials and Methods: One hundred fifty (150) specimens were divided into five groups according to the tests, each group consisted of 30 specimens and these were subdivided into three groups: Control group, Reinforced PMMA (0.125% wt. SiC nanoparticles) group and Reinforce PMMA (0.25% wt. SiC nanoparticles) group. The thermal conductivity, impact strength, transverse strength, surface hardness (Shore D) and surface roughness were investigated. Results: The results of this study showed at 0.125% wt. SiC nanoparticles there is highly significant increase in both thermal conductivity (0.8188 W/m.K) and surface hardness (87.40) while there was non-significant decrease in transverse strength (86.98 N/mm2), impact strength (7.572 KJ/m2) and surface roughness (1.345 μm) when added to PMMA denture base material. At the concentration of 0.25% wt. SiC nanoparticles the results showed highly significant increase in both thermal conductivity (0.9723 W/m.K) and surface hardness (89.34) while there is non-significant decrease in transverse strength (85.79 N/mm2), impact strength (7.234 KJ/m2) and surface roughness (1.344 μm) when added to PMMA denture base material. Conclusion: The addition of silicon carbide nanoparticle into acrylic resin denture base material improves thermal conductivity, surface hardness and surface roughness; while there is non-significant decrease in both transverse strength and impact strength.